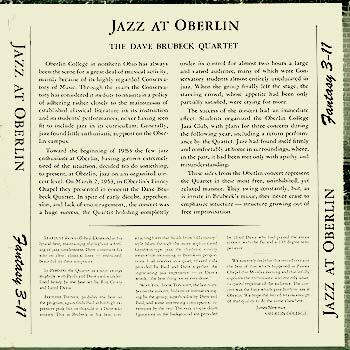 Notes: Recorded at Oberlin College in Ohio this is a swingin’ set from Dave and his cohorts. According to the liner notes drummer Lloyd Davis was playing through the haze of a 103 degree temperature, but it doesn’t seem to slow him down a step. Culled from the two hour performance these four songs are the cream of the crop. 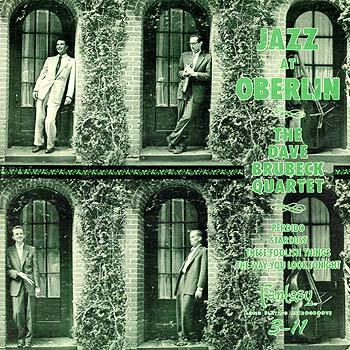 Dave’s flair for jazz flexibility is here, but he never loses sight of the base structures of the music, playing around the edges of the melody and weaving in and out of the rhythm patterns. A nice relaxed pose on the front cover and as a bonus the 10” EP comes in red vinyl. You can never have enough Brubeck on your shelf.